In simple word it can be said that axonotmesis is a type of injury that can cause severe damage to the axons in the nervous system. In this particular disease the muscular motor system is affected, that can result in the complete loss of the muscles movement and control. The problem arises when electrical signals does not transmit properly between different body parts. The patient suffering from the disease can take a while to recover. The recovery from the disease can take several months to few years as well. This problem can be a severe contusion to the nerve system. Axonotmesis is a type of disorder that can be because of the bruise or injury. Crushing injuries can cause such type of severe issues. The peripheral nervous system is the most commonly affected by such injuries like trauma, accidental nerve damage etc. Most of the body functions and movements are being controlled by peripheral nervous system. 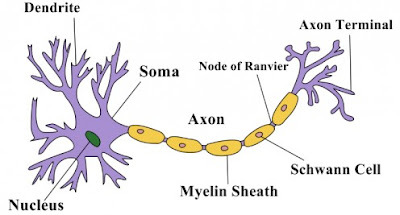 Axons are covered by protective layer called myelin sheath. In such cases axons become damaged and patient may become paralyzed. Axonotmesis can be termed as the severe kind of disease that can have some definite symptoms. Paralysis is one of the consequences that can represent the problem in a clear manner. Patient suffering from the disease will not be able to move body parts and the muscles. In this type of the disease the sensory or autonomic systems are one the one that are mostly affected. The problem with the movement of the muscles and the body parts is due to the electrochemical signals that are not carried by the nerves system of the body. Body movements become impaired or poor due to low or no electrochemical signals. Axonotmesis can be because of severe injury or the trauma. The actual damage is done to the peripheral nerves of the human body. It can cause damage to the axon and the myelin sheath. Both of these have a major role to play in the nervous system. There are multiple factors that can play an important role in the triggering the problem. In some cases it is found that an individual that stretches too much can have the issue. The issue basically revolves around the sensory system due to improper signal coordination between nerve fibers. There are multiple treatments available for axonotmesis. As the initial treatment conventional methods can be used, mostly in such type of the cases there is special management that is suggested. As the problem can be because of the nerve injury, it is important to give the anti-inflammatory and anti-seizure medications to the patient. To relief the pain there are some therapies that can also be used. Icing can also help a little. Physical exercises are also suggested as a treatment of the problem. Patients are advised to have some stretches. In this way patient can regain the muscular strength and the required elasticity.